History of anarchist orator and organiser, George Barret. George Powell Ballard was born on December 6th 1888 at Ledbury in Herefordshire into a fairly well-to-do family. His family was well known locally - his father being, as quoted in a local paper: “a master genius in many bypaths of mechanical handicraft.” His uncle, his paternal grandfather and his brother were all artists. After finishing his education at the Cathedral High School in Hereford he became an engineering draughtsman. He also acquired skills as a journalist, poet, and gifted orator. He joined the Socialist Society in Bristol. It appears that he was opposed to parliamentarism and this led to his resignation and recognition that he was an anarchist. Freedom reported that he disturbed the “otherwise peaceful routine” of this group by advocating anarchism. He met the daughter of a leading socialist in Bristol called Edith Oxley and they married. He next moved to London and joined the Walthamstow Anarchist Group in which Ambrose Barker was active. Here he distinguished himself as an anarchist speaker. He spoke under the pseudonym of George Barrett. 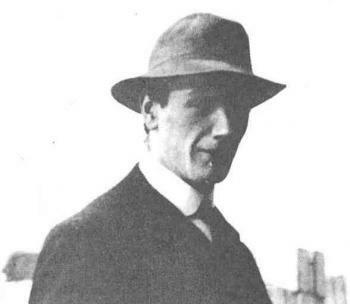 As the veteran anarchist Mat Kavanagh noted later: “He spoke almost every night in the week, and would often cycle 20 miles each way to address a meeting, and that after a day’s work”. “I saw an unfamiliar figure mounted on a box at one of the speaking pitches….He was engaged in a familiar denunciation of capitalism and a glance at the pamphlets spread on the street told me he was an anarchist. I studied him with a new interest. There had been no anarchist propaganda in Glasgow for many years, although at one time there had been an active group. The speaker was a tall, good-looking Englishman, extremely eloquent and able, whose speech betrayed his middle-class origin. The passionate conviction with which he spoke was extraordinarily impressive; the crowd about him swelled in numbers…he progressed from the usual attack on capitalism to a scathing indictment of politicians and particularly the leaders of the Labour Party…he spoke for over two hours and ended completely exhausted…his deep sincerity and attractive personality held them and his audience had grown to several hundreds before the end”. After the meeting Paton introduced himself to Barrett and a lone supporter, Dominic, a railway clerk. Together they set up the Glasgow Anarchist Group. They started an n energetic propaganda campaign. Later in the year they had 20 people at meetings and by May 1st 1911, fifty members. These included Willie Gallagher, later to be one of the founders of the Communist Party and later still a Communist MP. The Group was heavily involved in supporting the seamen’ strike that year. They began to spread activity to Govan and Paisley. As a result of the Sidney Street Affair in 1911 and the resulting moral panic against anarchists George lost his job after detectives paid a visit to where he worked. He was blacklisted by the police with other employers. From then on he earned a scant living by writing articles for the engineering press. May Day 1912 saw the appearance of the first issue of The Anarchist, financed by the wealthy anarchist George Davison (see Jim Colton). This lasted for 34 issues. Barrett had toured Britain throughout winter 1911-1912 to solicit financial support but it was above all due to Davison that the paper appeared. George Cores wrote for the first 9 issues and A. J. Cook, later to be Secretary of the Miners’ Federation of Great Britain, wrote for it under a pseudonym. The collapse of The Anarchist in early 1913, despite the gargantuan efforts of Barrett, was a bitter disappointment for him. By June 1912 the Group was holding meetings at two places in Glasgow, and at Paisley, Clydebank, Maryhill and Parkhead. George made long journeys to speak on his motor-cycle in the worst of weather, and he caught a chill at an open-air meeting in May 1913, which resulted in the contraction of TB. Despite his illness he carried on propagating anarchism. At the outbreak of the World War he wrote a pamphlet called The Last War, published by Bristol Workers’ Freedom Group. 10,000 copies were sold before the authorities banned it. He signed the international manifesto against war in response to the pro-war stance of Kropotkin, Grave, Malato and Dave etc. He began a book on Law and Liberty and essays like Substance and Shadow and The First Person. When he was too weak to write, he dictated his thoughts to friends. He died in Torquay on January 7, 1917 at the age of thirty.